Since setting up shop in 1992, Rooney Metals have been committed to providing a reliable and efficient service in scrap metal collection, covering both the domestic and commercial sectors. Owner Alan Rooney told us more. Coming up on 25 years in business, Rooney Metals in Cookstown in Co Tyrone are continuing to offer their customers a reliable service as top scrap metal merchants at unbeatable prices. The company was set-up by the Rooney family back in 1992 and since that time has grown from strength to strength, with its yard along the Knockaleery Road just outside Cookstown having become a haven for customers with scrap metal needs. When Rooney Metals was first born it started off as a modest operation, with a handful of trucks and full-time staff, but they’ve since developed into a leader in their industry to the point where they are willing to pay top prices for all ferrous and non-ferrous metals. Indeed the Rooneys are proud of the reputable service and professional approach that they presently provide, which is why so many customers find their way back to Knockaleery Road. They will collect and recycle your car, alongside all types of scrap metal and their Cookstown collection service operates all throughout Northern Ireland. Alan Rooney is the current Managing Director of Rooney Metals and has been involved in the business since he finished school, which gives an indication into the years of work he’s put in to help build the company into what it is today. Originally started up by his father, John, who still plays a major part in the day-to-day running of the business, Alan has taken over the reins of the company and helped to see it through the recent downturn which affected so many companies throughout Ireland over the past decade. 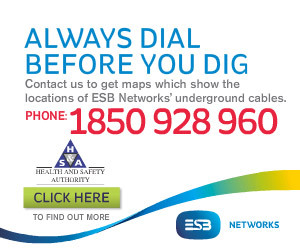 “We’re in Cookstown in Co Tyrone and established since 1992,” explained the MD. “We employ nine full-time staff. I’d be the owner of the company and my father also works here along with me. Rooney Metals certainly would have come from much more humble beginnings 24 years ago, as its origins saw John Rooney taking the decision to start up the company after “dabbling” a bit in the scrap metal industry whilst also working with furniture on a full-time basis. Now, nearly a quarter of a century later, Rooney Metals offers its customers guaranteed top prices, a first class collection service, purchasing of all types of scraps, reliability and an excellent reputation. “I started working in this business when I left school,” Alan outlined. 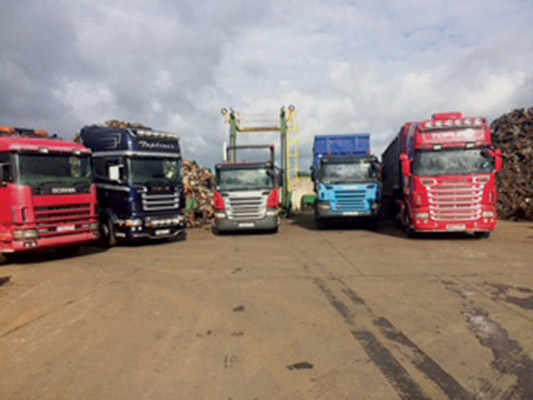 Today, the yard is a busy one and Alan feels the main reason for that comes down to their commitment towards providing a reliable and efficient service in scrap metal collection. Rooney Metals covers both the domestic and commercial sectors and their collection service will handle all types of scrap, including scrap cars and ferrous or non-ferrous metals. “Business at the moment is fairly good for us here,” said Alan. “The recession did slow us down a bit. Around 2006 we’d have felt the effects of it but in the last couple of years now we’ve been consistently busy, more or less, and you can’t ask for much more than that. Metal prices themselves is another reason why Rooney Metals’ Managing Director feels that business is on the up at present and he is hopeful that they things will continue to stay good for the foreseeable future. “Scrap prices have been very good for the last couple of years, even with the downturn and everything, so you just take the good with the bad. We’re not complaining anyway,” Alan laughed. While the majority of Rooney Metals’ work has been based throughout Northern Ireland in recent years, with service areas in Antrim, Dungannon, Omagh, Portadown and Strabane, more recent years have seen them branching out. Many of the companies that they carry out work for are now based in Dublin and in the last eight years they’ve been involved in scrap work with containers coming from all over the globe through ports in Northern Ireland. “The work that we do here would mainly be for engineering companies,” Alan outlined. So why are these clientele coming to Rooney Metals first with their business? Alan feels it comes down to their endeavours down through the years and the fair pricing that they’ve always carried. “I think they come to us because we treat them fairly and we always stay competitive,” he said. As for the second half of 2016, Alan is hopeful that things will keep progressing nicely and that they’ll continue to be kept busy into next year. “Hopefully things stay steady and they continue to improve for us like they’ve been doing for the last couple of years now. That’s all we can hope for,” he concluded.